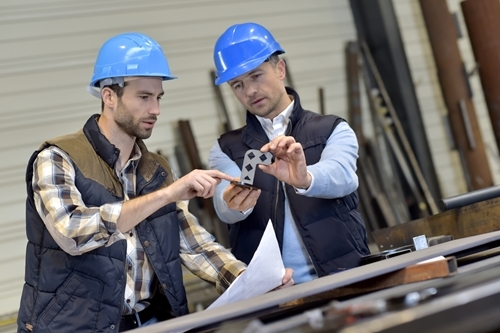 Over the past several years or more, many in the manufacturing industry have likely developed a good idea of how ERP can help them improve their processes in various ways. The fact is, however, that many companies may know about the benefits of ERP without knowing how to implement these systems in a way that is simple and effective. There's a big difference between these two ideas, and being able to successfully put an ERP system in place in a way that is actually going to improve bottom lines, speed up the manufacturing process, avoid snags in a company's supply lines, and so on, according to a report from CIO Magazine. Having the ability do so successfully may be particularly important when it comes to companies that are growing, especially if they're doing so quickly. That's because when demand spikes, having the ability to meet it with as few problems as possible is going to be quite conducive to grabbing the reins and riding that new interest to greater heights on an ongoing basis. When it comes to this kind of ERP implementation, the ways in which these systems help companies will vary by what they need the software for in the first place, the report said. For instance, some may use it to track employee hours through Dynamics NAV Time Collection, while others might instead use it to keep careful tabs on inventory on an ongoing basis, so they can potentially spot trends that will better inform their future decisions. However, it's worth noting that companies using ERP technology also face some data security issues when it comes to the information this software collects on an ongoing basis, for both the company itself and its employees, according to a report from IT Pro Portal. Companies in pretty much every industry are at some risk for a data breach, but when it comes to protecting things like sensitive payment information or personally identifying details, companies adopting ERP for the first time might need to do a little more to make sure the data they're aggregating on their work flow and employees is as protected as possible. A recent industry analysis shows that smaller businesses in particular are being increasingly targeted for hacking attacks (comprising 43 percent of all such incidents), and those companies are certainly the most likely to be just starting off when it comes to implementing ERP, the report said. Of further concern is the fact that the manufacturing industry led all sectors when it came to receiving potentially malicious email. Certainly, the issues of both efficiency and data security are ones those in the manufacturing industry should monitor closely at all times, making sure they're doing all they can to be both as smooth-running and safe as possible on an ongoing basis. In either case, failure to keep up with industry best practices could be costly.